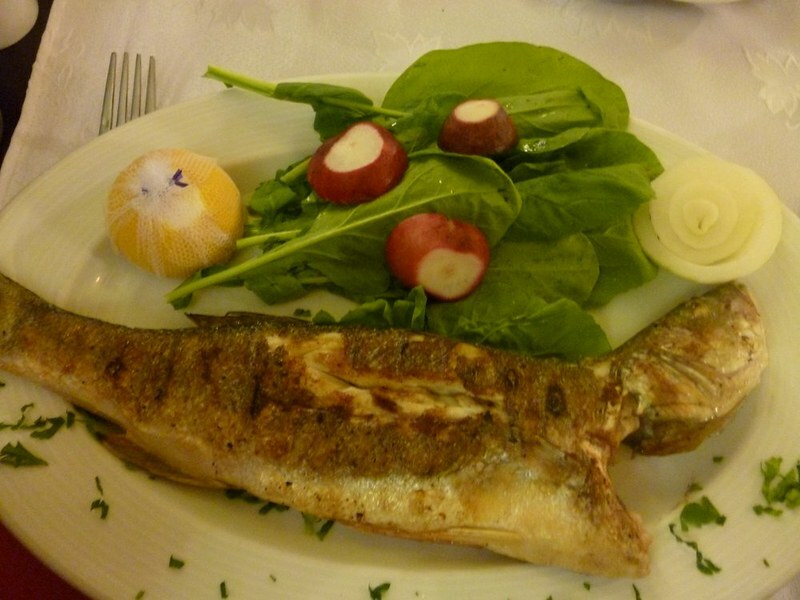 Today we’re going to heading to Turkey for some seafood. 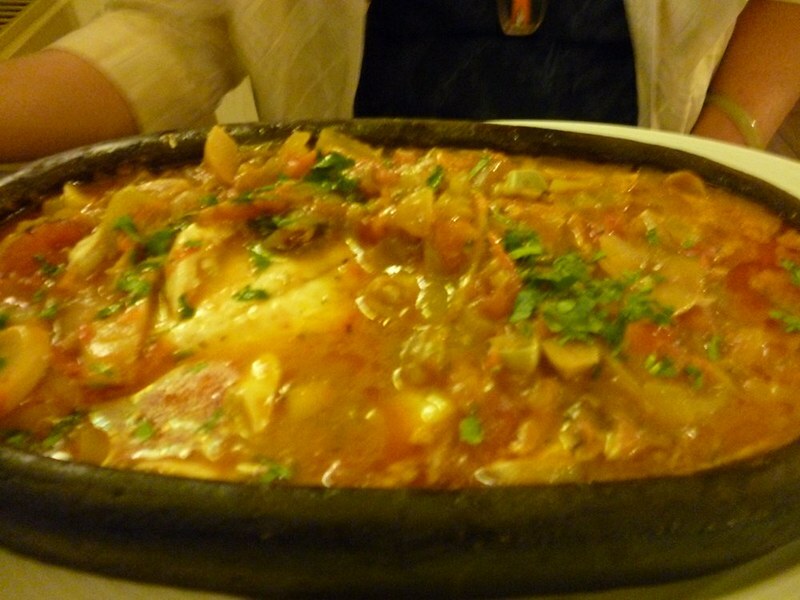 My mom and I had a good meal at a trendy fish restaurant on her first night in Istanbul. 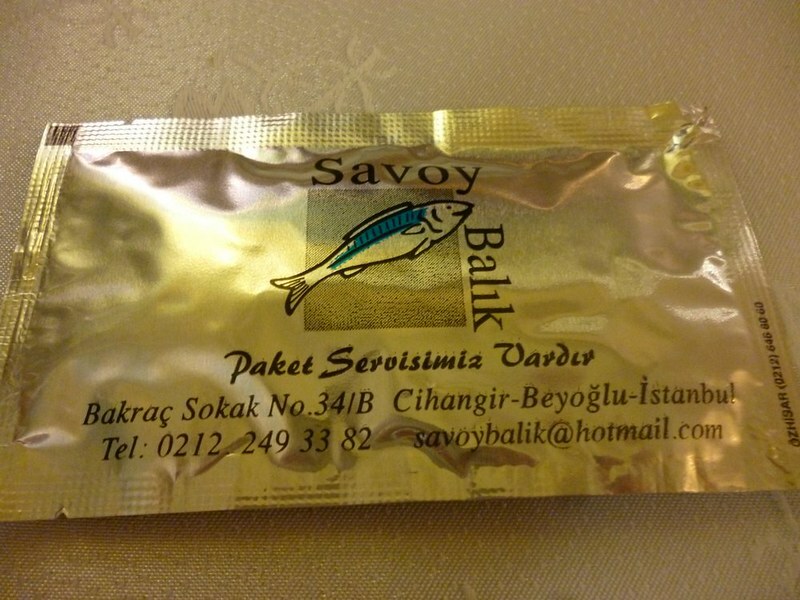 The place was called Savoy Balik (I think “balik” means fish in Turkish and it also means “to return” in Malay.) Getting there was an adventure (see below!) but it was worth it. Mom’s fish stew was better and I ended up eating more of her share than mine. The stock that came with the fish tastes of tomatoes. Yummy. Although we were quite full after the bread and fish main dishes, I still wanted to try the desserts. I didn’t recognize almost everything on the menu so I picked two dishes which were on the cheaper side. One of the dishes was a sweet pudding. I didn’t write down the name so I’m not sure what it is. 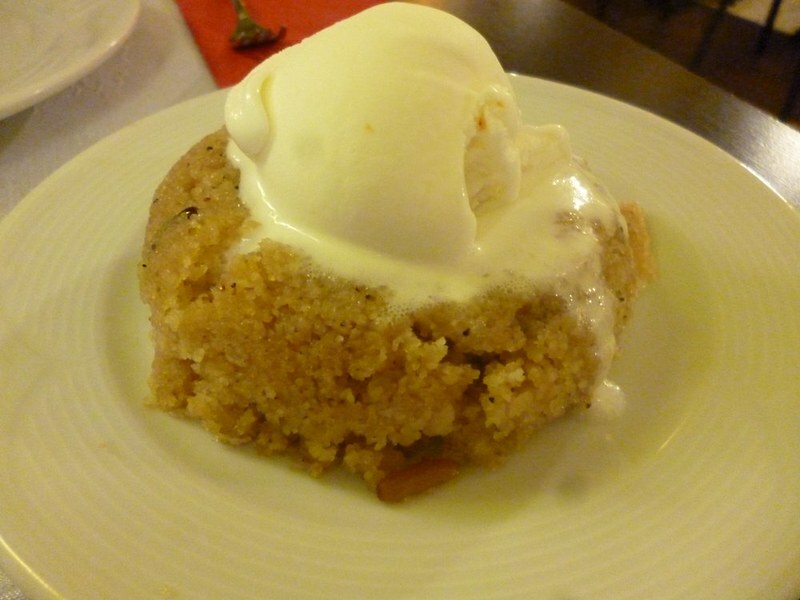 It could possibly be semolina pudding with a scoop of vanilla ice cream. It’s a bit too sweet since we had to mix it with the vanilla ice cream to get it to become not tooth achingly sweet. 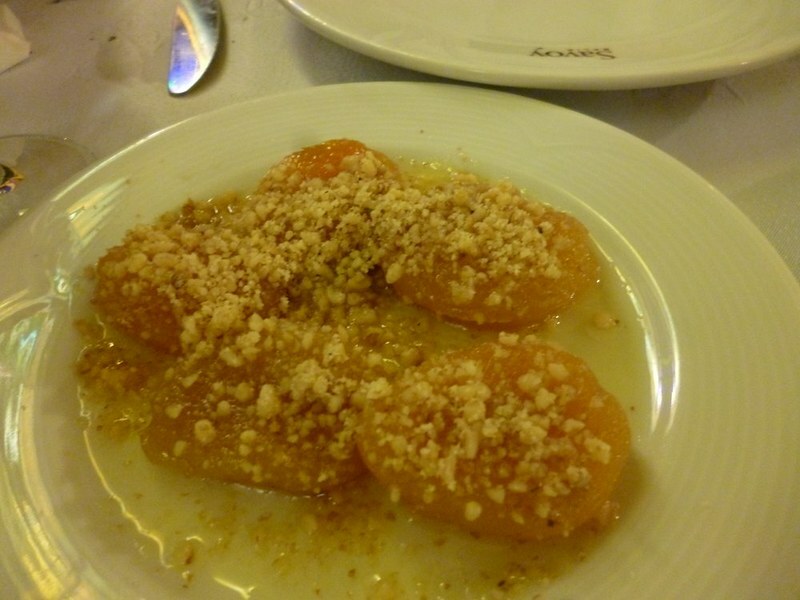 Another dessert was apricot sprinkled with something unknown. At least I know that it’s apricot? The restaurant wasn’t initially on our To-Eat list. How did we end up there? Well, Foursquare convinced me that it was a short walk away and then I convinced my mom to head there. So we followed Foursquare’s directions. “Head north and turn to the left.” What Foursquare did not tell me was that there wereA HELL LOT OF STAIRS to climb before we got to the place. 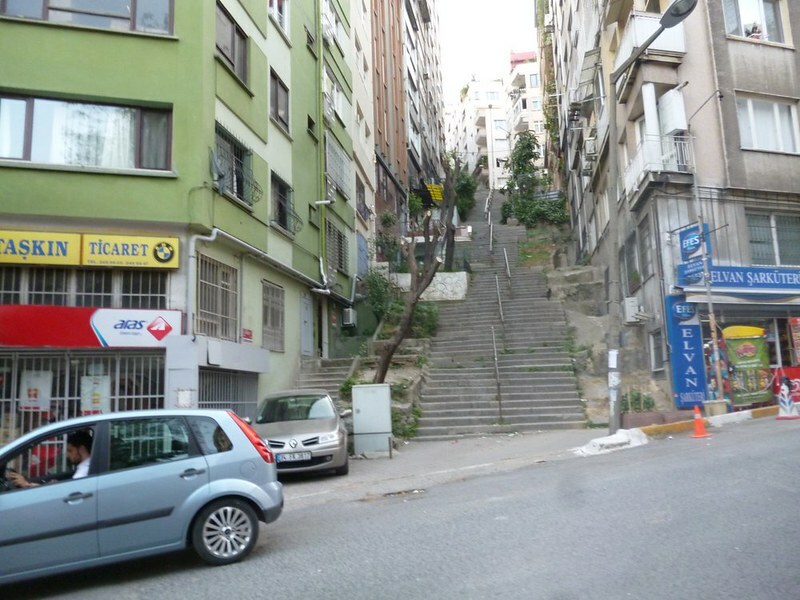 Mom and I took about 5 sets of stairs this tall before we got to the right street. Mom kept saying that we should take a cab but I didn’t think it was worth being fleeced if the restaurant was just around the corner. However, we ended up walking for what seemed like forever until we hit the right corner. The seats outside were all taken so we had to sit inside where the waiters didn’t pay us much attention. How far have you travelled for a good meal? Share your experience in the comments below.